Volvo Cars have made clear their plans to include an electric motor in every Volvo that they launch from 2019. This decision will result in the end, for Volvo, of cars that only feature a traditional internal combustion engine (ICE) and further advances in electric vehicle technology. Volvo’s announcement of full-electrification is the first commitment from a car manufacturer to entirely see standalone combustion engines rendered a thing of the past. Already embracing hybrid technology within the range, Volvo will look to further develop the technology available and introduce a range of new plug-in hybrid cars, mild hybrid cars and fully electric cars. Taking this announcement further, Volvo also unveiled plans to launch five fully electric cars between 2019 and 2021 – three Volvo models and two Polestar models – and will aim to sell a total of 1 million electrified cars by 2025. The decision to make two fully electric Polestar models follows Volvo’s announcement that Polestar are to become a new, separately branded, electrified high performance car company. Prior to this announcement, Volvo had already released their commitment to minimising their environmental impact and making our cities cleaner. 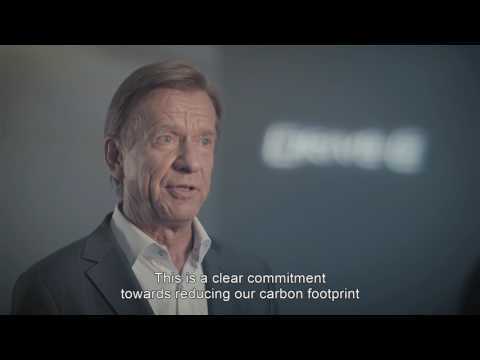 This solid commitment to lowering the emissions of every Volvo vehicle backs up this claim and puts Volvo one step closer to their aim of having climate-neutral manufacturing operations by 2025. Following the Government’s announcement to ban all petrol and diesel new car sales in 2040, experts predicted that a switch-over to electrified vehicles will actually occur around 2020 – this move by Volvo to electrify the range in 2019 certainly supports the theory, giving us further insight into the electrified future that lies ahead. With a hybrid variant of nearly every Volvo model available, why wait until 2019?